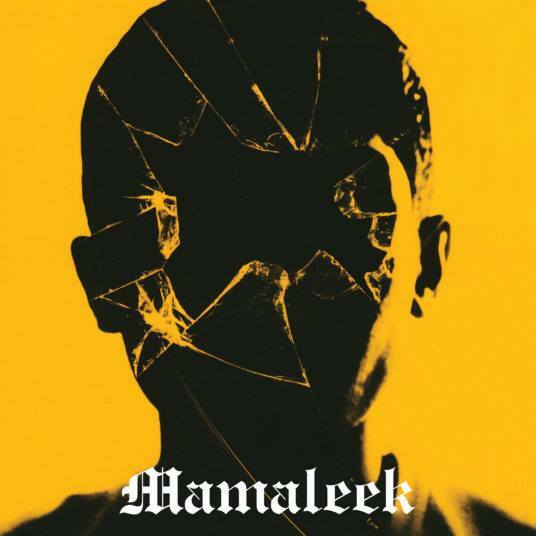 Mamaleek started as bastardization of black metal shoegaze and to some extent hip hop and noise, while Out Of Time is a fully-fledged bulwark of experimental noise, blackened jazz rock, trip hop and world music. I feel like this year is very worth remembering, not just because it gave us some of the best records in the last decade, but also because it’s a wonderful year for experimental records. Manes, Echo Beds and the upcoming Azusa are all a staple to that argument, and today I’m going to present to you yet another fantastic experimental outfit: Mamaleek. Supposedly, the Arabic word for slaves, Mamaleek are a San Francisco based experimental duo, consisting of two brothers. I have been following the band for some time now, and their change over the years is truly fantastic. What started as bastardization of black metal shoegaze and to some extent hip hop and noise, is now a fully-fledged bulwark of experimental noise, blackened jazz rock, trip hop and world music. Their new record Out Of Time is as much their most grounded work as it is their most keen one yet. “If I Had This Time”, the very first track, starts us off with a little jazzy tune. A guitar with some reverb and a drum is all this track needs. Though the production is lo-fi, everything comes off as clear and friendly, not harsh, unpleasant or unlistenable. Some sweet major melodies and a little groovy drum beat later and the song ends after a bit over one minute and thirty seconds. Moving on to the next track, “Sicarii”, we are greeted with a very different tune. Rumbling sound is coming out of the speakers. Is this the same band as before? It is! A distorted contrabass is heard and the noise has formed into a beat with glockenspiel as a substitute for hi-hats. A voice menacingly whispers about the sins of his soul. A synth, sounding almost like a pipe organ, plays on loop. The contrabass stops, a real drum beat forms under the synth, and a voice that seems to come straight out of hell mumbles it maddening chant. Despite these insane sounding textures, this track is pretty catchy. Mamaleek is able to release some of the tension build up by this insanity with little licks or the sweet, chiming glockenspiel, but it ultimately falls back into madness. The last track I want to talk about is “Out Of Love”. With insanely massive, distorted drums playing an upbeat rhythm, this track’s bass frequency rivals every 808. As the guitar slowly fades in, it’s almost a paradox how clean it is, only distorted by the lo-fi production, yet playing a weird mixture of black metal and jazz. The track is mostly without vocals, until the singing of an Imam in, for Arabic music typical, the atonal style begins his chant. A very welcome change from the dark texture, and oddly fitting to the more hip hop inspired drum beat. I have always enjoyed this style of singing for its unique character. Out Of Time is something that can both be seen as an insane work of art from some of the most inspired people around. Mamaleek have brought us their best work to date. This record will, of course, only be popular in a very small circle of people, but my god – is it enjoyable for those who do. To rate this in numbers would be an insult. Fantastic work. Next PostThe Mercury Tree + Cryptic Ruse - "Cryptic Tree"